Drought in eastern and northeastern Syria has driven some 300,000 families to urban settlements such as Aleppo, Damascus and Deir ez Zour in search of work in one of the largest internal displacements in the Middle East in recent years. The country’s agriculture sector, which until recently employed 40 percent of Syria’s workforce and accounted for 25 percent of gross domestic product, has been hit badly, but farmers themselves are worst affected, say aid officials. In some villages, up to 50 percent of the population has left for nearby cities. “Farmers who depend on only one crop are in trouble - they have nothing else to help them and they have to move,” said Abdulla Bin Yehia, a representative of the UN Food and Agriculture Organization (FAO) in Damascus. Those with livestock have seen the cost of feed rise 75 percent, according to FAO, resulting in the deaths of up to 80 percent of livestock on small and medium-sized farms. More than one million people, already bordering on the poverty line because of low incomes, have been affected by the drought. Outdated and wasteful irrigation methods used by farmers are also contributing to the problem, experts said. Syria’s water shortages have been worsening year by year. 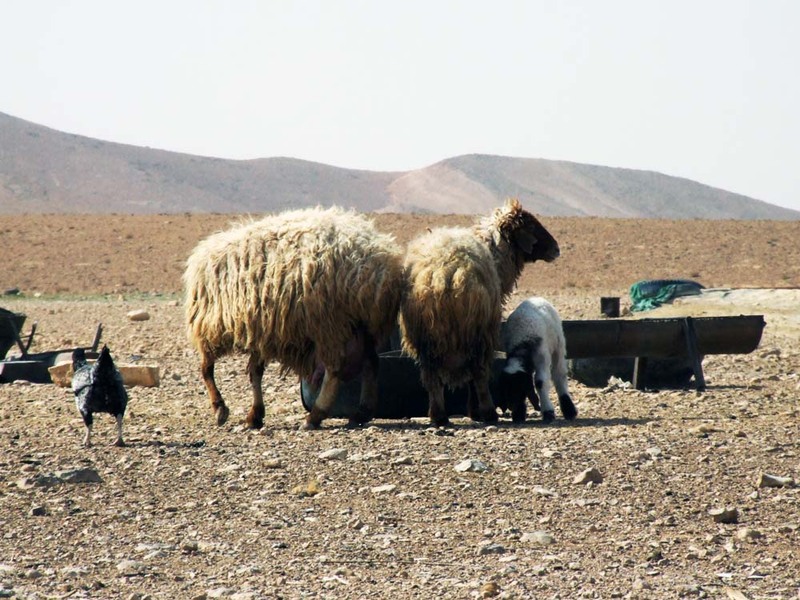 In 2006, northeastern regions such as Hasakeh and Qameshleh were the first to feel the effects of a lack of rain. Since then, farmers and crop-growers in southern and eastern areas - both east and west of Deir ez Zour, and south of Damascus in Sweida - are now suffering from a major drop in rainfall. Addressing the issues on 15 February, the World Food Programme (WFP) and the Syrian government conducted a training session in the eastern Syrian city of Deir ez Zour to assist emergency food distribution. In one of a series of meetings of the Syrian Economics Society in Damascus in January, officials for the first time shed light on the extent of the drought in eastern Syria: Almost 60,000 families with 100 cattle or less have lost half their animals and poverty levels stand at 80 percent, according to Khader al-Muhaisen, who spoke on behalf of the Syrian Peasants’ Union. A number of initiatives have been tabled to reduce the effects of drought on Syria’s rural communities, including a programme involving Syria’s General Establishment for Drinking Water and Sewerage, FAO, and the Swiss Agency for Cooperation and Development (SDC), which hopes to finish a US$40 million project to provide drinkable water to 130,000 people in the region of Hasakeh by the end of 2010. Additionally, in January the Ministry of Agriculture and Agrarian Reform and FAO signed a document to enhance the capability of early warning drought systems in cooperation with SDC, which is to provide funding $476,000 and technical aid. With hundreds of thousands having left their farms and communities, this year’s rainfall may go to waste with no one present to farm the land and to grow and cultivate crops. Bin Yehia of FAO said his organization is encouraging people to return to their villages by offering free wheat and other seed to farmers but told IRIN: “Returning to their communities is entirely voluntary but these incentives are important in order to give them hope for their land and for their futures”. However, the key barrier to assisting communities in eastern and northeastern Syria remains funding. 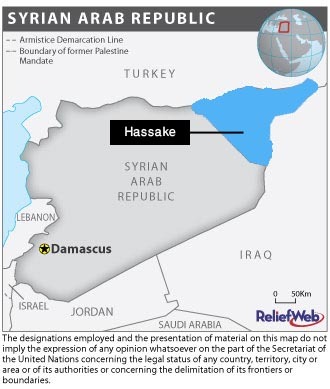 Last August, $48 million in international assistance was pledged towards the Syria Drought Response Plan but at the end of January only a small fraction had been received, according to local media reports. “We are at a crucial time of the year for farmers now. We have had enough rain for the seeds of crops to germinate but there are two threats. If there is no more rain in the drought-affected areas within the next six to seven weeks then we may not have any crop. Also, if these areas experience frost then the crops will be destroyed and farmers will be devastated for another year,” said FAO’s Bin Yehia. So far this winter, recorded rainfall across the country has been higher than in previous years and many are hoping for this to continue into March when water for crops is most needed. But officials are cautious: “It is only at the end of March or beginning of April that we can say if this year’s crop will be successful or not. For now we can only say ‘so far, so good,’” said Bin Yehia.